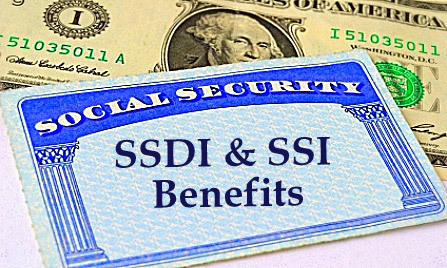 SSI is a cash benefit program for low-income persons age 65 and over and blind and disabled persons of any age including infants and children. You must be a U.S. citizen living in the country legally to get SSI, or you may qualify if you are something called a qualified immigrant. You are unable to work because of severe mental or physical illness or impairment that has lasted 12 months or is expected to last 12 months or is expected to result in death. You are a child under 18 who has a medically proven “marked and severe” physical or mental disability that would keep you from working if you were an adult or that significantly interferes with your daily activities. You can’t get SSI if your disability is based on alcohol or drug dependency, if you are in prison or jail, or if you have certain types of outstanding warrants. If you are a foster youth under 18, your social worker will apply for SSI for you and the cash aid will go directly to your caretaker. If you are a foster youth over 18, you have the choice between receiving SSI or foster care funding. If it’s determined that you can act as your own representative payee, you can receive an SSI cash benefit directly. If not, someone else will be appointed to act as your representative payee and this person will receive your benefit on your behalf. If you choose to receive SSI, instead of foster care benefits you will still be eligible for all the other benefits that come with extended foster care. Speak with your social worker and attorney to help you decide which is best.